In Checked Out, the second book in the Machado Mystery series, a pivotal character is suffering from a lethal combination of tick-borne illnesses. Many lives will be affected by whether he lives or dies. Can an arachnid as small as the head of a pin really be that deadly? Look closely. Can you see it? Even in this nearly invisible nymph stage, the tick can infect a human and cause an avalanche of symptoms and complications. 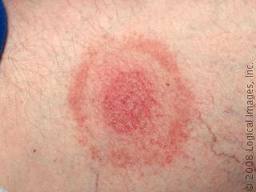 At first, the infected person may notice what appears to be a mosquito bite. But it doesn’t go away. It grows, expands, and eventually turns into the classic bull’s-eye rash. Not a pretty picture, but it gets worse. Joints begin to ache, the body reacts with headaches and fever, and nerves begin to twitch. The heart works overtime, and fatigue sets in. 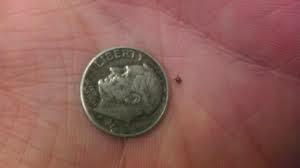 In the worst case, the tick is carrying not just Lyme, but other diseases that are even more dangerous. The Centers for Disease Control recently estimated that there may be 300,000 cases a year in the U.S. There is no vaccine, so the best protection is to take precautions against tick bites. Although most common in the Northeast and Midwest, Lyme and related tick-borne diseases can occur wherever deer are present. If found and treated early, Lyme disease can be cured with antibiotics. Unfortunately, there is no reliable diagnostic test to identify Lyme disease within the first month after the tick bite. The best protection is constant vigilance in any situation where a human, or even a pet, may spend time in an area populated with deer. The tiny troublemakers can hop from a deer, hitch a ride on a cat or dog and invade your home to find a human host. You. Will the infected patient in Checked Out recover? How will his outcome affect the other characters in the story? It’s fiction, so anything can happen. But in real life, it’s a good idea to have the facts. For more information about Lyme and other tick-borne diseases, visit these links.